Pannage season, during which pigs are let loose in the New Forest, is an ancient practice observed by commoners with the right of Common of Mast. Here piggy, piggy! Pannage season is here! (14 September 2015). Just as the first sight of a swallow in the spring signals the start of summer, so too the sight of pigs loose in the New Forest heralds the beginning of autumn. Pannage season is traditionally the time of year when commoners, with the right of Common of Mast, turn out their pigs to forage on the Open Forest to gobble up the seed harvest from the oak, beech and chestnut trees. Sadly there is no longer a breed of pig native to the New Forest but some old-breed and rare-breed pigs may still be seen during the observation of this ancient tradition. All pigs that are turned out onto the Open Forest are required to be fitted with nose-rings. The nose-rings enable the animals to forage through leaf litter and surface vegetation but inhibit them from rooting into the ground with their snouts and causing damage to the Forest. The first acorns that fall from the oak trees, usually in September, are green. Fed to pigs green acorns are excellent for fattening them up ready for the winter, but can cause a fatal colic or poisoning to the Forest ponies, cattle and deer. Pannage season is therefore arranged so that the pigs are left out long enough to eat the bulk of the green acorns. From November, however, the acorns begin to ripen and the pigs are then removed from the Forest so that the deer, game birds and other wildlife can eat the brown acorns, which form an important part of their diet going into the winter months. Preventing the pigs from eating all of the acorns, by limiting their presence on the Forest, hopefully ensures that there are enough seeds from the oaks and other trees to provide them with an opportunity to naturally regenerate. 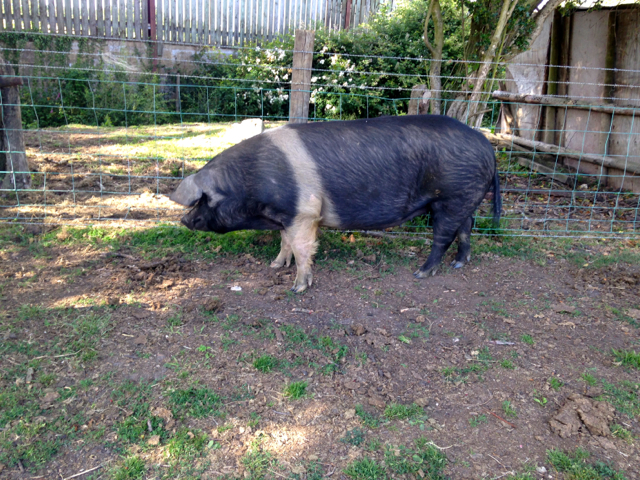 Breeding sows, nevertheless, are given special treatment and are permitted to roam the Open Forest all year round. However, they must not cause a nuisance and must return to the commoner’s holding each night. This arrangement is not a ‘right’ in law but a practice established by ancient custom. This explains why you may occasionally see pigs roaming the Forest out of pannage season. During the pannage season also keep a look out for the local artisan bakeries, farm shops and retailers that sell piggy-shaped biscuits to celebrate this most ancient of New Forest practices. 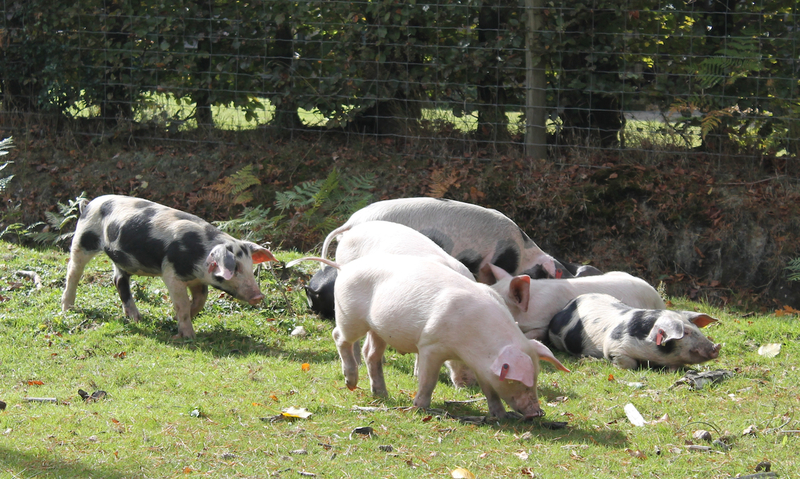 Pannage season, during which commoner’s pigs are free to roam the New Forest, lasts for a period of not less than sixty days in the autumn. NB: Due to the heavy acorn crop this year, the Pannage Season has been extended and will now run until Sunday, 20th December by which time all pigs, with the exception of those running on the National Trust Commons in the north of the Forest, must have been removed from the Forest. This entry was posted in New Forest, Pannage season and tagged acorns, autumn, Beech, cattle, colic, Common of Mast, Forestry Commission, New forest, oaks, Pannage, pannage season, piglets, pigs, poisonous, ponies, seed harvest, toxic, Verderers. Bookmark the permalink.